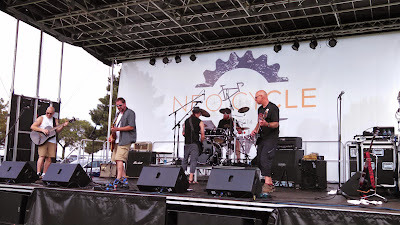 The first annual NEOCycle festival, a celebration of all things cycling in Northeast Ohio, was a resounding success by all account this past weekend (Sept. 26-28, 2014). The event featured track racing, a cyclocross race, a criterium race, an urban night ride, and the gran fondo-style Forest City Fundo ride on Sunday, featuring routes of 10, 32, or 62 miles and raising funds for Bike Cleveland. All these activities centered on the NEOCycle Hub at Cleveland Metroparks Edgewater Park, where attendees also enjoyed live music, food trucks, beer, bike polo, pinball, local bike shops and other vendors! I participated in the Forest City Fundo. Fortunately, the fantastic fall weather we've been experiencing lately continued, with sunny blue skies and temperatures in the 70s. The ride started out through downtown Cleveland. I ended up doing a "hybrid" route, taking the detour for the longer 62-mile ride during the first half, which took us through Bratenahl, Colinwood, and to the turn-around at Euclid Beach. 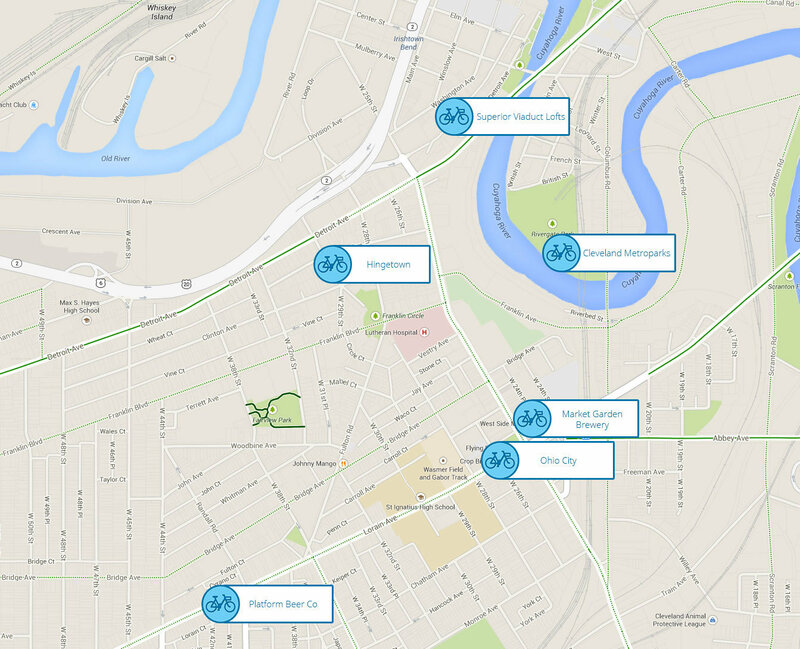 Both the 32 and 62-mile routes continued through University Circle, Slavic Village (on the Morgana Run Trail), on the Towpath Trail, through Tremont and Ohio City. I skipped the second detour for the 62-mile route, which went through Fairview Park, the Rocky River Reservation, and Lakewood, and went directly to Gordon Square and back to Edgewater Park, for a total of 45 miles. 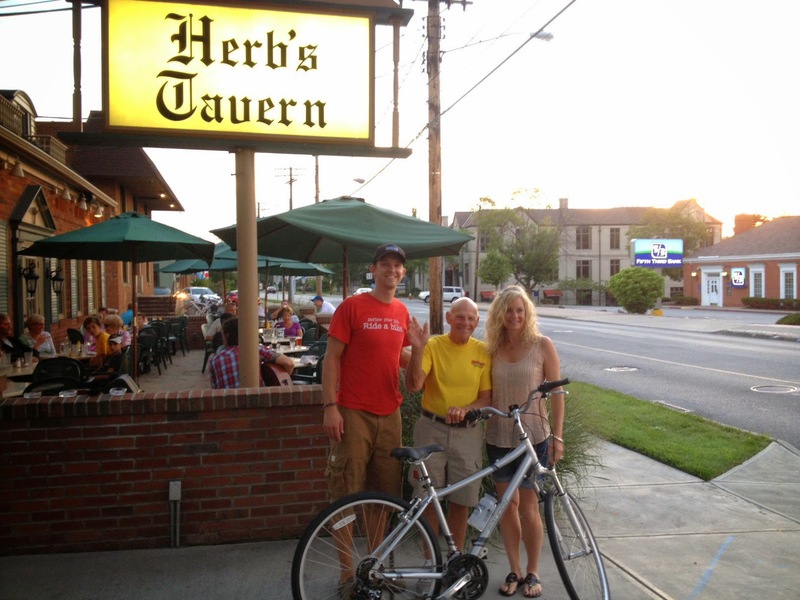 Back at the NEOCycle Hub, everyone enjoyed the food, beer, music, and catching up with old cycling friends, including Lois Moss (co-founder of Century Cycles and founder of Walk 'n Roll Cleveland), visiting for the event from her new home in Portland, Oregon! Among the musical acts entertaining the crowd was local favorite Way of Life, featuring CC General Manager Mike Petcher on the bass! Click here if the slide show above is not appearing for you. Thanks to Deb Petcher for several of the photos! PLEASE NOTE: All three Century Cycles stores will be CLOSING early at 3:00pm this Saturday, October 4, 2014 for our annual fall picnic. Sorry for any inconvenience! Note for our bike rental customers in Peninsula--this means that no bikes will be rented out after 1:30pm, and all bikes MUST be returned before 3:00pm. A fat bike doesn't have to mean heavy bike! For those of you who want to have your snow bike cake and eat it, too, we've got a 2015 Salsa Beargrease Carbon 1 in stock (size is Large)! It's currently located in the Century Cycles store in Peninsula. With a full carbon frame and Salsa Makwa carbon fork, the Beargrease Carbon 1 shaves additional grams with a SRAM X1 1x11-speed drive train with 11-speed 10/42-tooth cassette, SRAM DB5 hydraulic disc brakes, Surly Marge Lite rims, and 45North Dillinger 26x3.8 tires. The whole package weighs in at only 28 pounds 6 ounces (including the test-ride pedals shown). We've got one customer with his eye on this bad boy already, so if you're interested, don't dawdle! The new 2015 models of snow bikes from Salsa Cycles continue to arrive. Just showing up at the Century Cycles store in Peninsula this week is the 2015 Salsa Mukluk 2! Bringing back the same Salsa Aluminum frame with Salsa's unique Alternator rear dropouts (which provide easy geared/singlespeed conversion), for 2015 the Mukluk 2 gets the new Bluto suspension fork from RockShox. Developed specifically for fat/snow bikes, the Bluto fork was developed by RockShox after several years of prodding by Salsa and other snow bike manufacturers. On the Mukluk, it complements the built-in fat tire suspension, providing 100mm of real front suspension travel (that's about 4 inches for us 'Mericans). Other upgrades over the 2014 model of the Mukluk 2 include SRAM Guide hydraulic disc brakes, and a Thomson stem to match the blingin' Thomson seatpost. As we and Salsa will tell you, snow bikes are mountain bikes, and the '15 Mukluk 2 continues the evolution of fat bike technology into versatile rigs that not only take you through the snow, but take you through your terrain of choice all year round! ROCKY RIVER, Ohio - Today, the League of American Bicyclists recognized Century Cycles with a Gold Bicycle Friendly Business (BFBsm) award, joining more than 800 visionary businesses from across the country. With the announcement of 150 new and renewing BFBs today in 39 states and Washington, D.C., Century Cycles joins a cutting-edge group of more than 800 local businesses, government agencies, and Fortune 500 companies across the United States that are transforming the American workplace. "Visionary business leaders are recognizing the real-time and long-term impact that a culture of bicycling can create," said Andy Clarke, President of the League of American Bicyclists. "We applaud this new round of businesses for investing in a more sustainable future for the country and a healthier future for their employees." Century Cycles encourages bicycling as an easy option for transportation and provides amenities for customers such as ample bicycle parking, free air for tires, and their award-winning customer service for bicycles and accessories. Bicycling incentives for employees include cash paybacks for cycling to work, secure bike storage, and a guaranteed ride home in case of bad weather or mechanical difficulties. Outside the stores, Century Cycles has spearheaded numerous efforts to improve the quality of life in our communities. Since 2008, they have sponsored and organized the Bike To School Challenge, which has increased the rate of students bicycling to six local schools, and educated thousands of students about the health, economic, and environmental benefits of cycling. 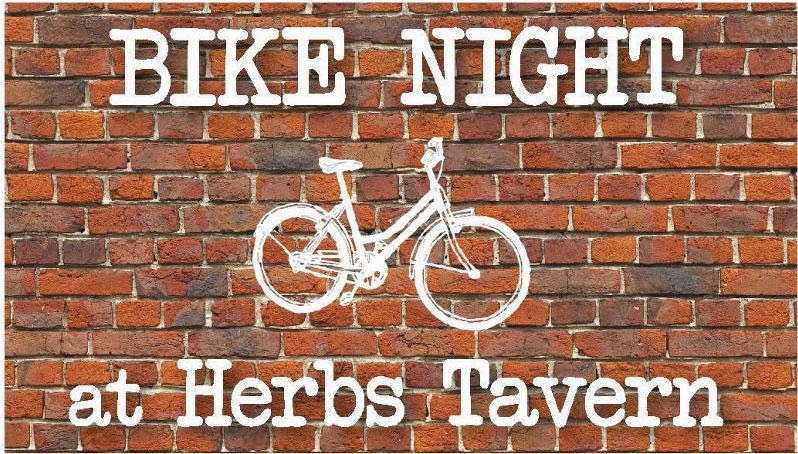 The store has supported Bike Cleveland, the local cycling advocacy group, since its founding with membership promotions and awareness campaigns. 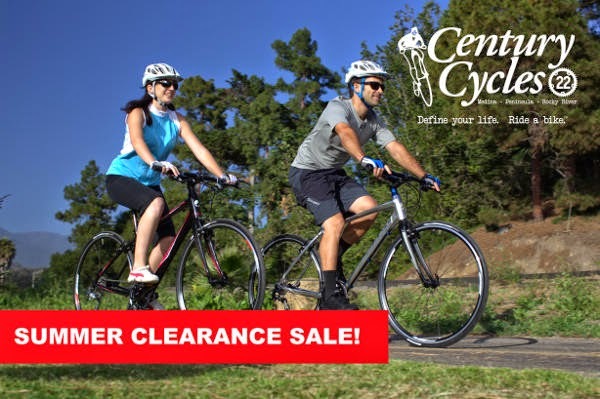 Century Cycles is also a long-time sponsor and supporter of the area's most popular cycling events, such as the Great Ohio Bicycle Adventure, Bike MS Pedal to the Point, VeloSano, and the upcoming NEOCycle festival. "We have always considered ourselves bicycle-friendly in the 22-plus years that we have been in business," said Scott Cowan, Owner of Century Cycles. "It's an honor to have the official recognition from the League of American Bicyclists, not to mention being the first bicycle shop in the area to earn the award. We are also very proud to be the first business of any type in Ohio to earn the Gold level of Bicycle Friendly Business." "Even though we're a bike shop, it was not automatically given that we would be named a Bicycle Friendly Business," added Kevin Madzia, the company's IT Manager who led the application process. "We had to apply just like any other business, and we had to submit applications individually for each of our three stores. This allowed us to highlight the unique cycling cultures in each of the communities that we are located in." 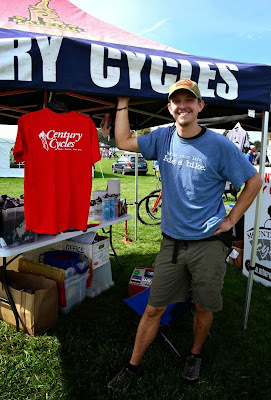 Century Cycles is grateful for the assistance of Bike Cleveland's Executive Director Jacob VanSickle. Having helped other Cleveland-area companies earn the Bicycle Friendly Business award, he was familiar with the League of American Bicyclists' rigorous evaluation criteria, and this experience was invaluable in submitting the applications for Century Cycles' three stores. The Bicycle Friendly CommunitySM, Bicycle Friendly StateSM, Bicycle Friendly BusinessSM, and Bicycle Friendly UniversitySM programs are a tool for states, communities, businesses, and universities to make bicycling a real transportation and recreation option for all people. To learn more about building a Bicycle Friendly America, visit www.bikeleague.org/BFA. To apply or learn more about the free BFB program, visit the League online at www.bikeleague.org/content/businesses. Bring your whole family for Home Depot Safety Day in Brunswick! Service Manager extraordinaire Don Barnett from the Century Cycles store in Medina will be there to provide free safety inspections for kid's bikes, plus tips on bike-riding safety and helmets. Plus, you can enter to win a Century Cycles Gift Card! 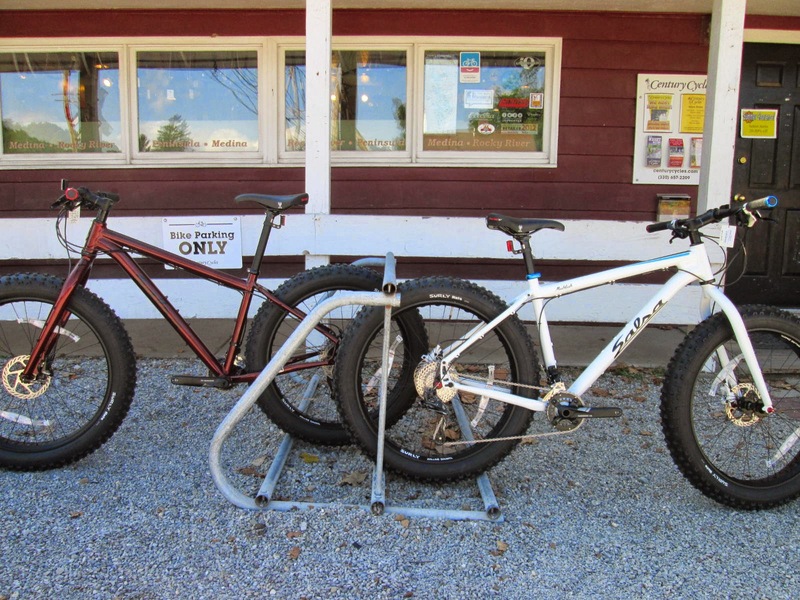 Salsa Cycles continues to push the boundaries of snow bike/fat bike technology, and Century Cycles continues to be the place in Northeast Ohio to find the best selection of Salsa bikes! The 2015 lineup from Salsa includes a number of upgrades and improvements over the 2014 models, as well as few new surprises. The 2015 Salsa Mukluk 3 ups the ante with Surly Holy Rolling Darryl cut-out rims and SRAM hydraulic disc brakes, at $1,899.99 only $50 more than the *2014 model! Now in stock! Available in Ruby Red or Arctic White. 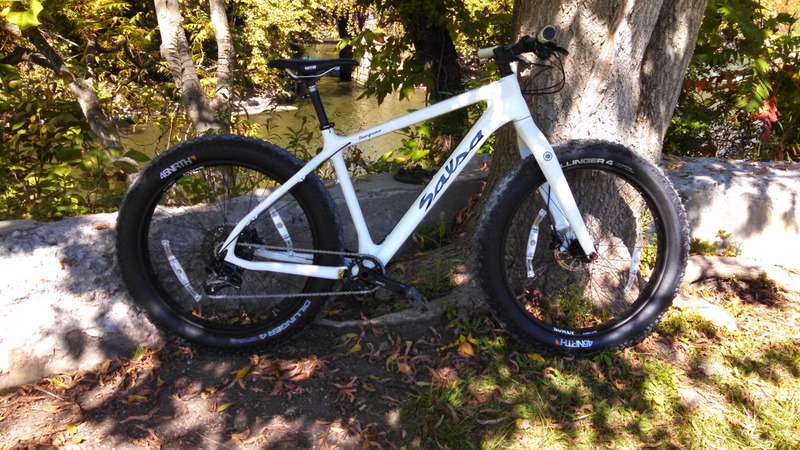 Stay tuned for more information and more new 2015 models from Salsa Cycles at Century Cycles! 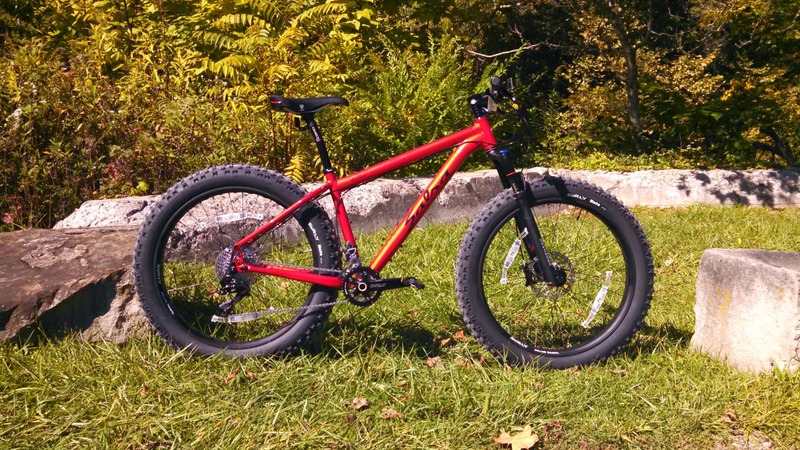 * The 2014 Salsa Mukluk 3 had Surly Rolling Darryl (un-cutout) rims and Avid BB7S mechanical disc brakes, for $1,849.99. Congratulations to Kelly and Dennis, a cycling-loving couple! 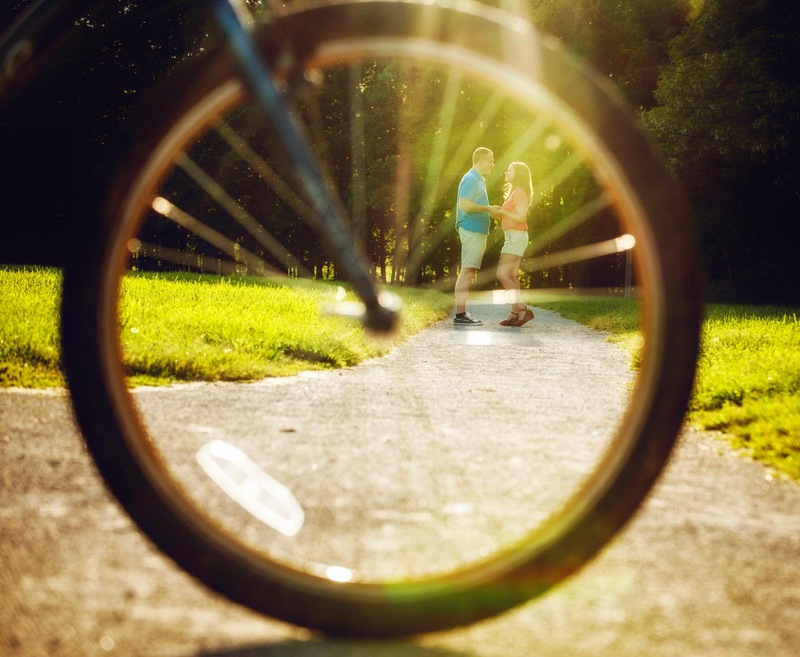 They recently rented a pair of the Electra Bicycles Townie cruisers for their engagement photos. They were quite happy with the results, and we are quite happy for them! Another bike-touring visitor stopped in the Century Cycles store in Peninsula today. 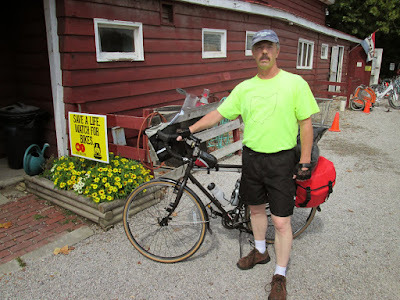 Bill Hoggston is riding from Cleveland to Cincinnati on the Ohio to Erie Trail. 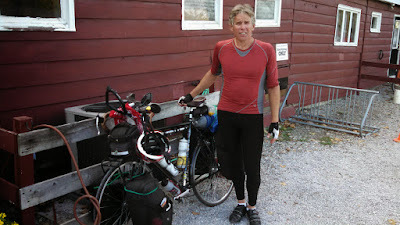 Christopher MacGregor has been on the road cycling for over a year. He left his home in Maine and rode to San Diego, and is now in the process of riding BACK to Maine! He stopped by the Century Cycles store in Peninsula yesterday. You can follow him at his Facebook page. 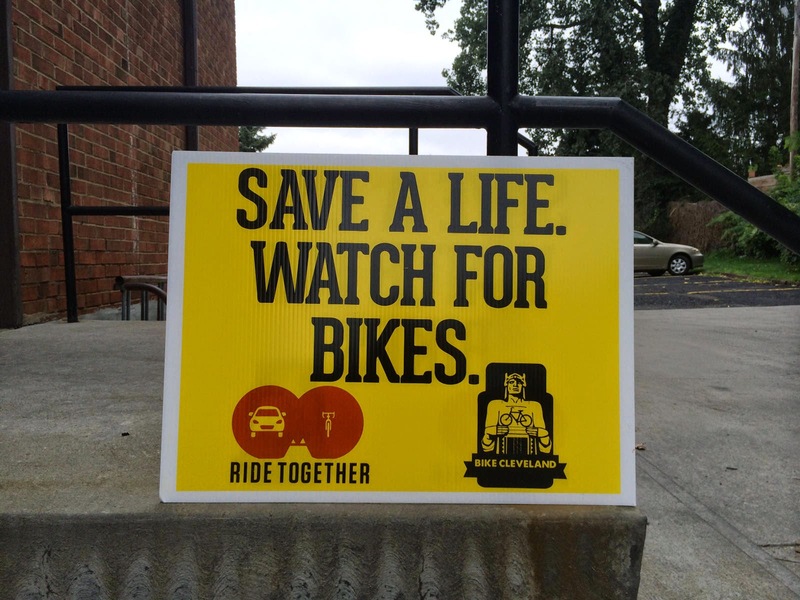 As part of its ongoing bike safety awareness campaign, Bike Cleveland has created these yard signs for us all to display on our tree lawns! We've got them available in all three Century Cycles stores. Stop in to pick one up for yourself for FREE (while supplies last)! 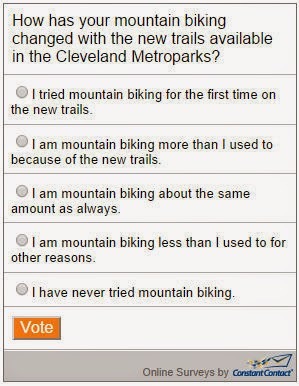 Cleveland makes the Top 50 Best Cities for Cycling! 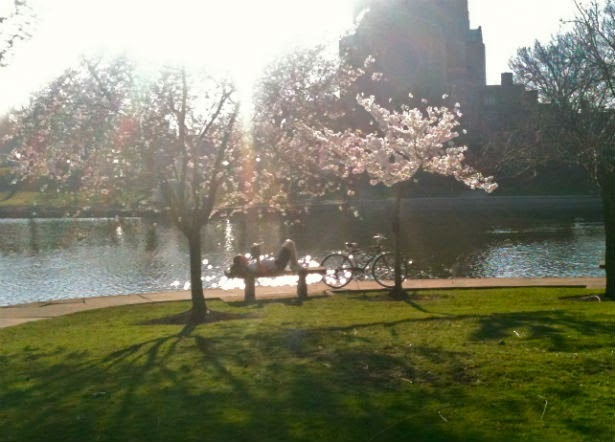 Cleveland made the list of Bicycling Magazine's Top 50 Cycling Cities for the first time in 2010. The reasons cited at that time included the Ohio & Erie Canal Towpath Trail, the Cleveland Velodrome, and pending opening of a downtown bike commuter station. A lot has happened in the four years since then, including continued construction to complete the entire Towpath Trail, expanded bike lanes and bike parking options, not the mention the founding of Bike Cleveland, our local advocacy organization that has spearheaded numerous efforts to get more Northeast Ohioans on two wheels. Now in 2014, Cleveland has returned to Bicycling's Top 50 Cycling Cities list. 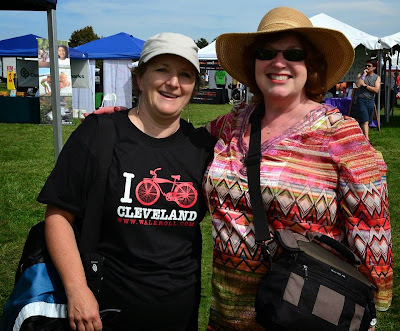 One reason mentioned this time around is the upcoming NEOCycle event, a three-day celebration of all things bike-related in Cleveland on Sept. 26-28, 2014! Based at Edgewater Park on the shore of Lake Erie, the festival will feature food trucks and tents from bike shops and other bike-related businesses (including Century Cycles). The bike events include an urban night ride, criterium race, cyclocross race, and the Forest City Fundo, a fully-supported group ride with 10, 32, or 62-mile options that showcases Cleveland as a safe, bicycle-friendly city! 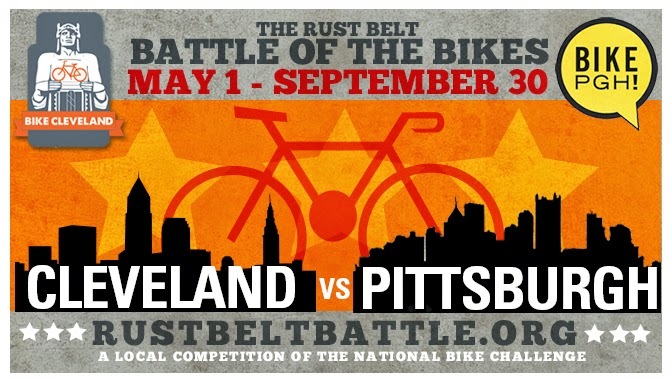 Proceeds from the ride benefit Bike Cleveland. 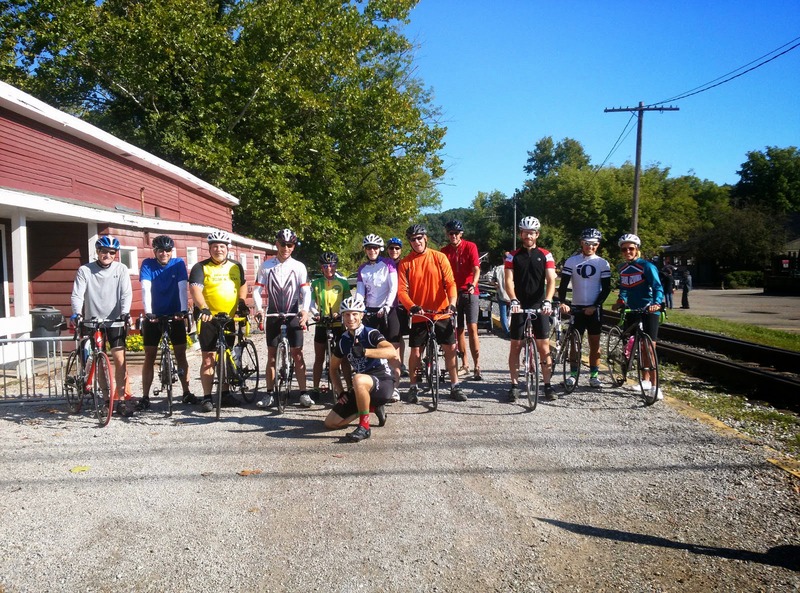 It was a beautiful day for a bike ride in the Cuyahoga Valley this past Sunday, Sept. 7. 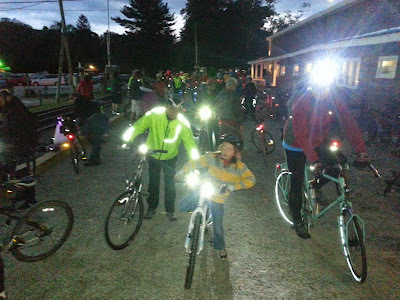 Thanks to the 13 people who came out for our Sunday Service Group Road Bike Ride in Peninsula! Our next group road bike ride is this Sunday, September 14 at 8:00am at the Century Cycles store in Rocky River, then on Sunday, September 21 at 8:30am in Medina! See www.centurycycles.com/for/SundayService for the complete schedule and full details. This is the time to stock up and save on your favorite bicycles and bicycle accessories -- and get the gear you need for the great fall riding to come! All 2014 (and older) bicycles on sale! 20% off all Summer Cycling Jerseys (short sleeve & sleeveless) for Men and Women! 20% off selected Giro, Pearl Izumi, and Shimano cycling shoes! 20% off all baggy shorts and bib shorts for Men and Women! 20% off all ZOIC shorts and jerseys! 20% off selected headlights from NiteRider! 20% off Thule Raceway car racks! 30% off all grips, seats, and clothing (excluding gloves) from Electra! While supplies last. In-stock items only; no special-orders. Sale purchases are final. Our local MPOs (Metropolitan Planning Organizations) are multi-county agencies that handle transportation and environmental planning issues for the area they serve. Most importantly, they decide how federal transportation funds are spent in our area. This includes funds spent on bicycling infrastructure. The two main agencies in Northeast Ohio are the Akron Metropolitan Area Transportation Study (AMATS), which covers Summit County and Portage County, and the Northeast Ohio Areawide Coordinating Agency (NOACA), which covers Cuyahoga, Geauga, Lake, Lorain, and Medina counties. Both organizations are holding their annual meetings soon, and the public is invited to attend. 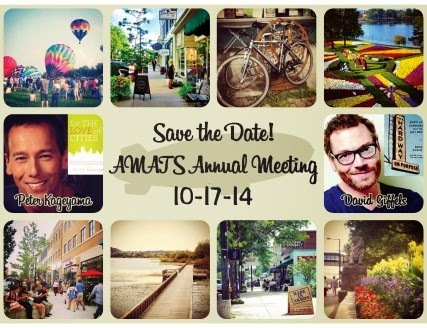 The AMATS Annual Meeting is themed "The Importance of Place" (although the event page on their web site does not list the place where the meeting is being held!). 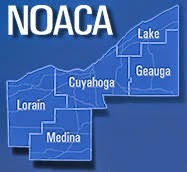 The NOACA Annual Meeting is titled "The True Co$t of Transportation." Jonathan Levy left Washington, DC a little over two weeks ago, and is heading to Michigan, or possibly further ("I'll decide when I get there," he said). 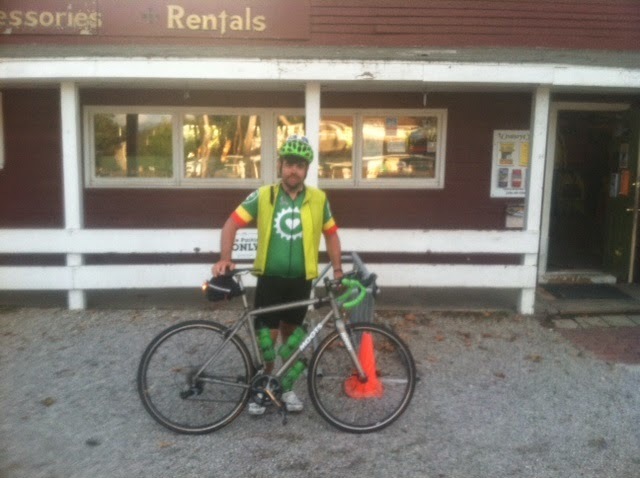 He stopped by the Century Cycles store in Peninsula to get help and directions for the best route west. 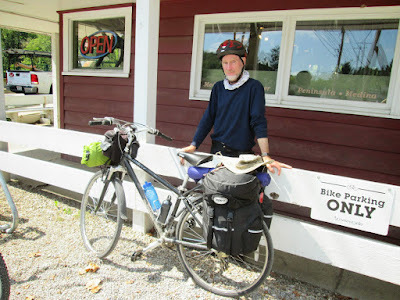 You can see more pictures of long-distance cyclists who have visited all three of our stores over the years in our Bicycle Touring Photo Gallery. 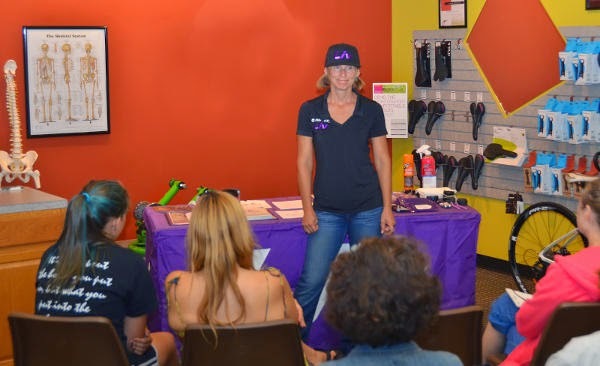 Thanks to Teresa Boyle from Liv Cycling for coming to our Medina store this past Friday, August 29 to present the Women's Basic Bike Maintenance Clinic! Thanks also to the 12 people who came and participated! 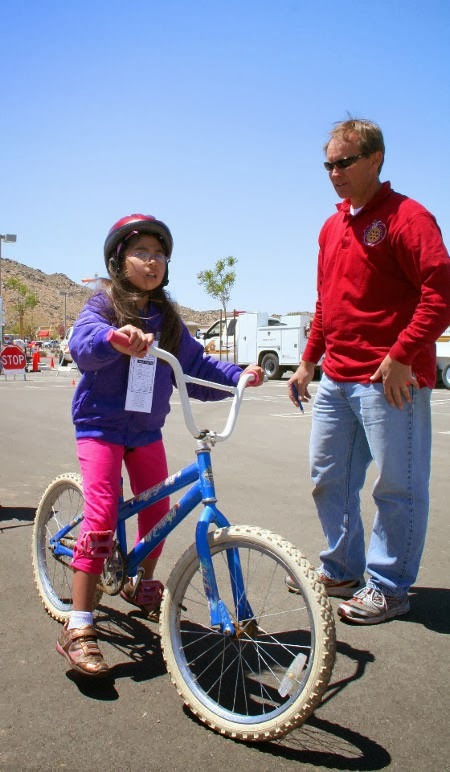 Attendees enjoyed refreshments, plus learned about bike parts, how to perform a safety check, day-to-day maintenance, troubleshooting issues on the road or trailside, fixing a flat tire, and removing/re-installing a rear wheel. Teresa also covered the Liv Cycling 2015 bicycle line-up, and Liv Cycling's 3F’s (Fit, Form & Function), which help you to pick out the best bike for your riding style and ability!